Argentina’s spirit was alive at New Jersey State Theatre on October 20th when Tango Buenos Aires performed for a packed house. 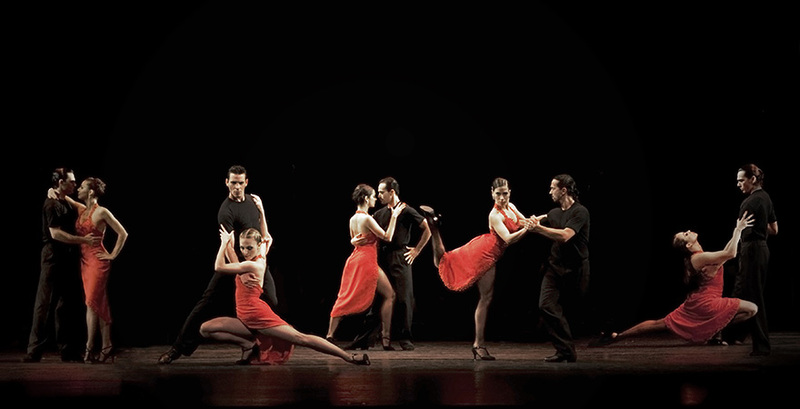 The troupe, according to the playbill, is one of Argentina’s great cultural exports and is known throughout the Americas, Europe, and the Far East as the most authentic tango representation. The bass, guitar, piano, violin, and the Argentinian bandoneon (similar to an accordion), were well played by a group of talented musicians. Comprised of different Argentinian life vignettes, we saw everything from a couple intimately dining at a restaurant to a group of boys playing futbol. The evening included many dances from the great Tango composer Carlos Gardel, an Argentinian national treasure who died tragically in a plane crash in 1935 at the age of 45. Latin American mourned when he died, but his masterpieces are alive and well. The elegant women’s dresses wowed all night, and the men’s attire complemented them. I thought of the quote "it takes two to tango" and how true that is since one can’t tango alone. It is the dance of love, relationship, and companionship. The dancers moved in rhythm together and the blending of music, song, and dance became a story. Gardel is known for his three-minute tango recordings of which there are hundreds. He has many nicknames, including the affectionate "King of Tango." For some of the vignettes, a guitar player sang and mingled with the dancers, adding a depth of liveliness to the already party atmosphere. In Spanish, the songs and spoken words created an authentic production. The playbill indicated "tango" might have its roots from the mispronunciation of "tambor" (Spanish for drum). Every country has a unique gift for the world. The Argentinians gifted the tango, and they are proud of it. The playbill mentions that the constant companion of the tango is the piano which was in full force carrying the dancers as they elegantly and feistily moved across the stage. Other composers of the night included Astor Piazzolla, Jose Damas, and Fernando Marzan, among others. This made for a well-rounded performance. Some highlights from the King of Tango were Gardel Y Sus Pasiones, Por Una Cabeza, and Gardel Delincuente. Born in France, his mother moved to Buenos Aires when he was three. His first recording, Tango-Cancion sold 10,000 copies; he was 27 years old. And while his life was cut short, his library of tango recordings is rich and has the power to enchant and lift the spirit. The dance troupe employed tango beautifully, making the night an exceptional one. It also confirmed for me that I want to visit Argentina someday!